Campaigner Email Marketing Review – Does It Work? What is Campaigner Email Marketing? Campaigner Email Marketing is an email marketing system built by marketers to help businesses get more sales and strengthen customer relationships. You can create a professional email campaign, there is advanced list management and segmentation tools, and it has targeted email autoresponders and workflows. I personally use MailChimp for my email marketing campaigns because it is a lot better and cheaper. In order to get started with an email marketing campaign it is best to have a website and create a business first, before you can start promoting it. Click Here for Information on my #1 Ranked Online Business System! 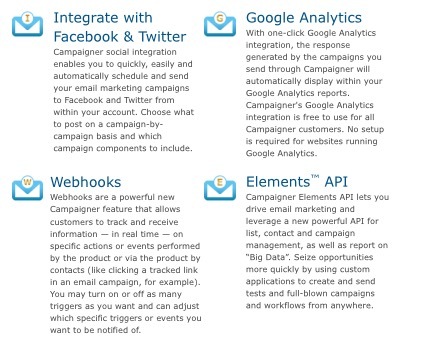 You can also integrate Campaigner with Facebook, Twitter, Google, and other advanced systems. Small businesses use Campaigner Email Marketing to easily create and send personalized emails to their subscribers. It helps them build better relationships with customers that can result in more sales, revenue, and can grow your business. Campaigner claims it is reliable, and online so it can be accessed from anywhere. However, even though there is a 30 day risk free trial, you need to know what you are doing in order to be successful. This means you will need training and I will discuss the training they offer below (not the best). 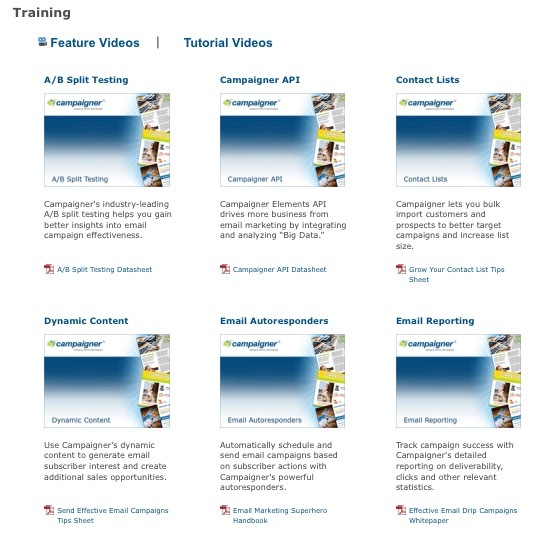 In my opinion Campaigner is better for expert email marketers than beginners. Internet retailers, corporate email marketing managers, non-profit organizations, government agencies, and educational institutions can get email automation features (send emails automatically) to increase prospect and generate more revenue with email campaigns. 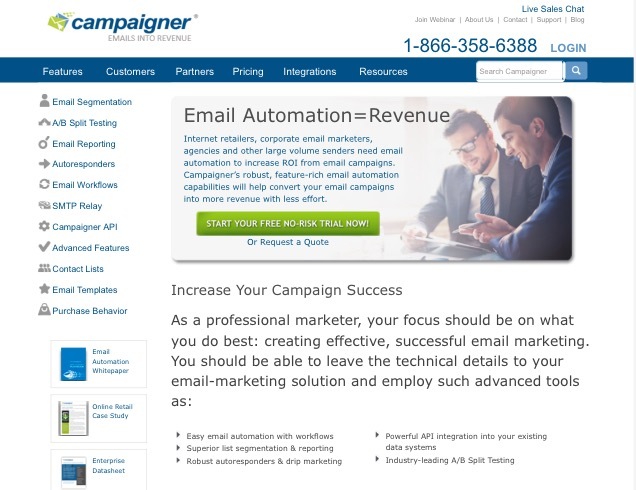 Campaigner is a good solution for beginners who don’t have a lot of time or money to spend on email marketing, and for the experts looking for automation features to take them to the next level. The best way for you to make the most money with Campaigner is to become an affiliate with them, where you can sell people packages to promote their business through emails. However, this is also very hard to do. Campaigner sends out emails when you sign up with links to webinars that help you get started. You even get a phone call offering help after you sign up. Most questions can be answered in Campaigner’s thorough documentation, which includes an in-depth overview of CAN-SPAM regulation. There are links on the Campaigner site that you can go to read and try to learn more about email marketing on your own, but take it from me, it is VERY hard to learn on your own. There are also tons of webinars and videos that you can click on to learn more about email marketing. If you are looking for a FREE system where you can create a business and learn more about online marketing from thousands of online experts click here! How Much Does Campaigner Cost? There is a free 30 day risk free trial that I strongly suggest you do first before you buy anything. You need to know exactly what you are doing before you can jump into this, and that is why I suggest that only experts jump into this. 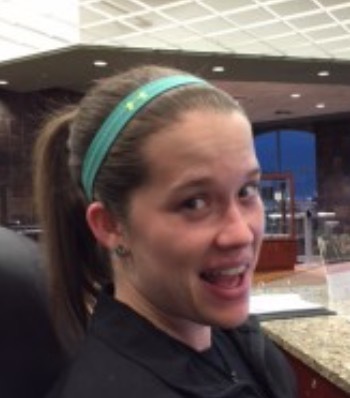 After your 30 day risk free trial you will have to start paying monthly. 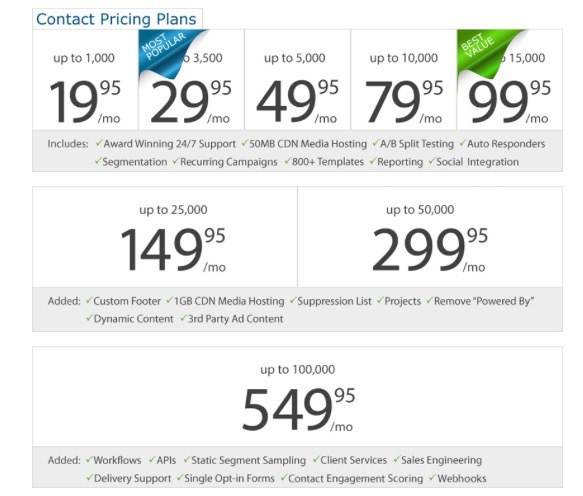 The price differs depending on how many emails you are going to want to send each month. Here are all of the options. With these options below you have access to 24/7 Support, 50MB of Media Hosting, A/B Split Testing, Auto Responders, Segmentation, Recurring Campaigns, 800+ Templates, Reporting, and Social Integration. 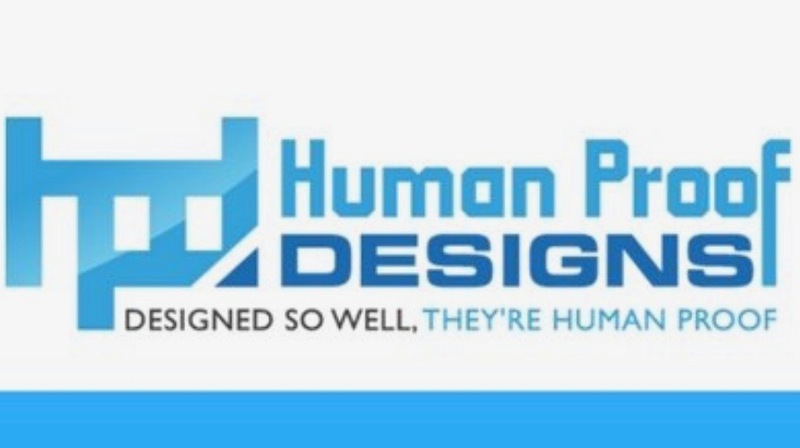 These next options below give you access to all of the things mentioned above along with Custom Footer, 1GB of Media Hosting, Suppression List, Projects, Remove “powered by,” Dynamic Content, and 3rd Party Ad Content. Finally with the last option you have access to all of the things mentioned in the other packages along with Workflows, APIs, Static Segment Sampling, Client Services, Sales Engineering, Delivery Support, Single Opt-in Forms, Contact Engagement Scoring, and Webhooks. As you can see, depending on the size of your business you can decide how many emails you will need to send each month and what you will need to use. The more emails you send, the more customers and revenue you will create. However with MailChimp, it is free to use unless you need more than 12,000 emails each month. Campaigner provides free 24/7 coaching and customer support. Their customer support team won the “Excellence Award” for Contact Centre of the Year, and they won the Gold 2015 and Silver 2014 Stevie International Business Award for Customer Service Team of the year. So they obviously know what they are doing since they have gotten these awards. If you’re working on a specific task and click the Help button, you’re automatically directed to the relevant Help section. Campaigner also has a status page that alerts you when there are outages and other issues, so if you’re ever having trouble go to the status page. They seem to do really well with helping people, but I have found a couple reviews stating the customer support never got back to them. I think that Campaigner Email Marketing is a great way for businesses of all sizes to promote and grow their business. It is also has an affiliate program that you can join if you want to make commissions on selling these email packages to businesses. However, this is NOT for someone that is starting completely from scratch and has no idea how to work on an online business. Do not invest in this system if that sounds like you! If you are looking for a place where you can learn how to create your own internet marketing business so you can build a list to actually send email marketing campaigns to, then Wealthy Affiliate is the place for you! If you have any questions or experience with the Campaigner Email Marketing system please leave a comment below! I also have to say that the pricing options are pretty reasonable. For the price we pay we get a lot in return. The features allow us to test our email campaigns and figure out what resonates best with our customers. The interface is clean and easy to use, emails are sent fast and reports about the results of each campaign sent are useful.This has really helped us to boost sales and conversions. Keep it up! I would suggest doing some keyword research to find out what people are searching for in relation to your niche.